Now in Toronto located close to Yorkdale Mall. This impressive showroom will captivate you with its unique selection of high-end original and custom furniture, all on full display, and all available for immediate purchase. 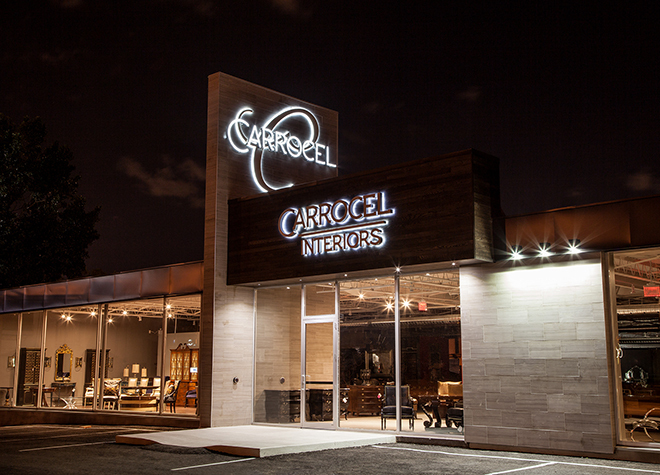 We strive to replenish our Carrocel furniture store’s showroom with new shipments throughout the year, and invite you to return periodically to browse the displays. Our showroom is much more than just a place to shop for furniture – it is the opportunity to experience, through sight and touch, high-quality original and custom furniture from some of the finest manufacturers in the world. Visit our showroom at 245 Bridgeland Avenue in Toronto. Come once, come often, and stay as long as you like.